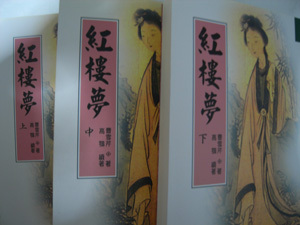 Recently, I bought 《红楼梦》because I love literature, although not necessarily acing it during my JC years. *oops* (I bordered on failing throughout the two years). I love the period, the stage, the characters and most importantly, the language of literature, both English and Chinese. With every book, regardless of its genre, I find myself teleported into that time, watching the characters, feeling the emotional nuances they do and walking through the era they existed in. It’s always a very deep and thought-provoking experience and it is this, I like to share with all. I can’t read Chinese fluently, more so if it is in traditional characters, but I try, because I’m intrigued and curious and never want to stop learning.